The Davis Cemetery District, in collaboration with the Veterans of Foreign Wars (VRW) Post 6949 in Davis, is hosting its annual Veterans Day Remembrance on Sunday, November 11, 2018 at 820 Pole Line Road. Please join this remembrance of those men and women who have served in the military, defending and protecting the United States. The Davis Brass Ensemble begins playing at 10:30 am. The formal part of the program starts at 10:50 am with an explanation of the Bells of Peace, followed by the posting of the colors by the UC Davis ROTC, and vocal performances from Carol Kessler and the Davis High School Madrigal Choir. Speakers include VFW Post 6949 Commander Jay Brookman, Davis City Council Member Dan Carson, and Superior Court Judge David Rosenberg. The program also includes a poetry reading by Andy Jones and opening and closing prayers by Rod Layman, chaplain of VFW Post 4969. 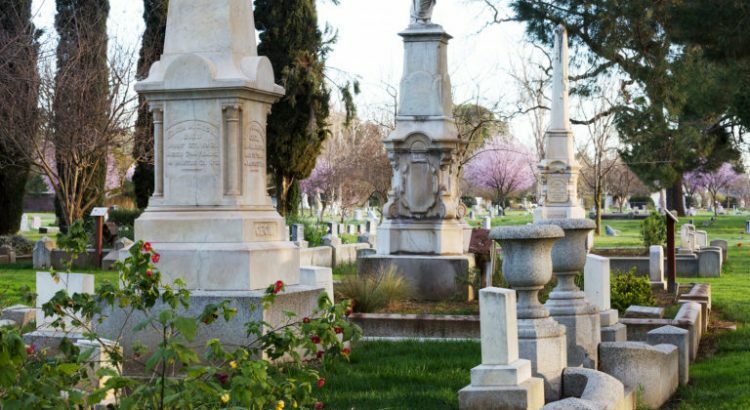 Enjoy a stroll through history one of our Davis Cemetery District History Tours. 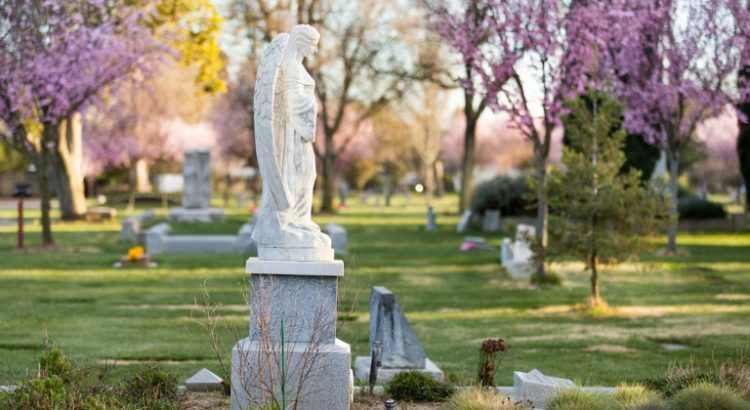 The historic cemetery district is offering guided history tours on our beautiful grounds.. We will share the stories of the pioneer families and individuals who have shaped our city into what it is today. We will also discuss the meaning of and changes to gravestone symbols from Victorian times to the present. Tours will take about an 1 hour. Wear comfortable shoes. Guided cart tours are available but will limited to three individuals. Contact Jess Potts at jess@daviscemetery.org or call 530-756-7807 to schedule an appointment. The Davis Cemetery District is a non-enterprise independent Special District governed by an appointed Board of Trustees who serve four-year terms. As a public agency, the District is not in the business to make a profit as a private company. The Board of Trustees meets at a noticed public meeting on the third Wednesday of every month at 4:00 pm. The trustees have adopted comprehensive rules and regulations by which to operate the cemetery. All board meetings are open to the public. The District is closely aligned with the community of Davis and surrounding areas and makes its facilities available to community service groups. The District strives to strengthen the Cemetery as a more invited and meaningful location for civic remembrance, contemplation, and healing by creating an attractive environment that encourages people to come and enjoy nature, art and civic history. The Davis Cemetery District is a community tradition of historic natural beauty since 1855. We are committed to providing excellent service and beautiful environments to honor and remember loved ones. We serve all faiths and cultures, and we offer a wide range of options for memorializations. A cemetery is a sanctuary and a place for friends and family to mourn, remember, and celebrate. Whether you are planning for the future or need to make immediate arrangements, we are here to educate and assist you with care and compassion. The Davis Cemetery honors the past, serves the present, and enriches the future. A full list of services can be found here. WHAT IS A GREEN BURIAL? Green (or natural) burial emphasizes simplicity and environmental sustainability. The body is neither cremated nor prepared with chemicals such as embalming fluids. It is simply placed in a biodegradable container or shroud and interred without a concrete burial vault. WHAT IS THE GREEN BURIAL PROCESS? The body or container is lowered into the earth without the use of a burial vault. Earth is then packed directly around and over the body or container. The Davis Cemetery District places a thin concrete vault lid on the packed dirt above the body and then puts more dirt on top of the lid in order in ensure the site remains flat and stable for the weight of the memorial marker and of our mowers and other equipment. WHO IS ELIGIBLE FOR THE GREEN BURIAL OPTION? 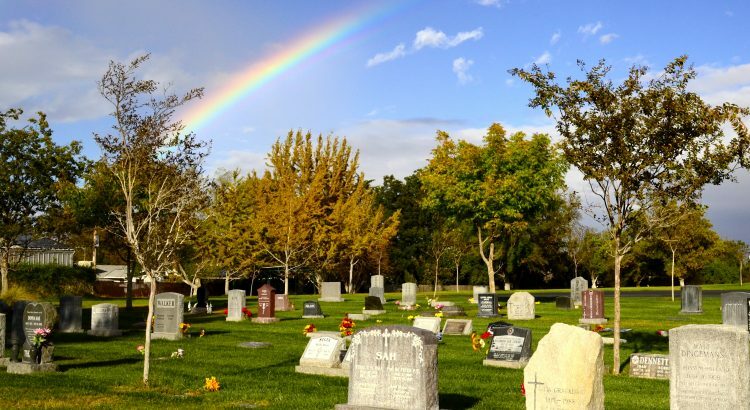 The Davis Cemetery District offers the green burial option for either single or companion interment. In the case of a companion green burial, the District will use a separate vault lid on the packed dirt above each body. Embalmed bodies and/or those in non-biodegradable caskets, such as metal, are not eligible for the green burial option. Green burial is not an option for the second interment into a companion plot in which a companion vault is already in place. *Inventory, photograph, paint or view our wildlife. *Bring a sketchbook or a notebook and spend some quiet time on one of our benches. Let the beauty and the history inspire your creativity. *Hike or jog the perimeter of the cemetery, enjoying the view from many perspectives. Climb our hill for a fresh look. *Check out our historic swale, our perennial mounds, and our wildflower meadow (all located in the eastern half of the grounds). *Soothe your soul listening to our Veteran Memorial Fountain. *Take a meditative walk on one of our labyrinths. *See the latest Gallery 1855 exhibit inside our iconic office building. We have six markers over 12 feet tall, four that range from 8-12 feet, and some thirteen between 6-8 feet high; they include eight obelisk markers and four full figure statues. 28% of all city council members are buried here, as are 24% of all persons for whom UC Davis buildings are named.